This is what Deb Roy did at the birth of his son, whose every moment was recorded from birth to present day. He is the Founder and CEO of Bluefin Labs, an MIT spinoff. 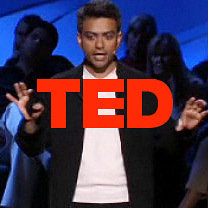 This is Deb Roy’s TED talk March, 2011. TED is a nonprofit devoted to Ideas Worth Spreading. It started out in 1984 as a conference bringing together people from three worlds: Technology, Entertainment, Design. Since then its scope has become ever broader. Along with two annual conferences — the TED Conference in Long Beach and Palm Springs each spring, and the TEDGlobal conference in Edinburgh UK each summer — TED includes the award-winning TEDTalks video site, the Open Translation Project and TED Conversations, the inspiring TED Fellows and TEDx programs, and the annual TED Prize. This has to be shared with my audience. It is truly one of the most remarkable video moments I have had. It takes about 20 minutes to watch but it is riveting. Enjoy this amazing father and his amazing family. Hang in there the end is POWERFUL! Deb Roy studies how children learn language, and designs machines that learn to communicate in human-like ways. On sabbatical from MIT Media Lab, he’s working with the AI company Bluefin Labs. How many books are there in the world? The answer: 129,864,880 books, more or less. Google is, of course, in the process of digitizing many of the world’s books. Since 2004, Google has digitized more than 15 million books worldwide. The datasets they are making available today to further humanities research, for example, are based on a subset of that corpus, weighing in at 500 billion words from 5.2 million books in Chinese, English, French, German, Russian, and Spanish. The datasets contain phrases of up to five words with counts of how often they occurred in each year. The Ngram Viewer lets you graph and compare phrases from these datasets over time, showing how their usage has waxed and waned over the years. One of the advantages of having data online is that it lowers the barrier to chance: you can stumble across something in these 500 billion words and be the first person ever to make that discovery. I went to the Ngram to prove to myself that Lateral Thinking is a relatively new concept in our educational thinking. Here is what happened to Lateral Thinking between 1900 and 2000. You will see that Lateral Thinking was flat lined from 1900 until about 1965. In 1965, which was the height of the Vietnam war and the protests associated with it, Lateral Thinking spiked from 0% to 100% until about 1973. These years thrust forward a massive burst of intellectual lateral energy. It then took a huge downward spike beginning in about 1973 when the Vietnam War officially ended. Lateral Thinking hit bottom in 1975 (war ended, protests over, back to what was customary). It then began a gradual ascent in about 1976 with a slow climb though the 80’s and 90’s and then between 2000 and 2010 it shot up vertically to 100%. These years were responsible for the serious advent of public use of the internet and the beginning of the social media revolution; Facebook, LinkedIn, Twitter, Groupon, EBay, Craig’s List, Priceline, You Tube, Firefox, WordPress, and more than I have time to write. Most of this Lateral energy flourished and bloomed outside our public educational institutions. These institutions and educators did not change with the advent of this energy. As a matter of fact, educators and education functioned more as obstacles than facilitators, except in a very few isolated instances. Many continue to teach with chalk, blackboards, and outdated textbooks while their students are speaking a different language and operating in a virtual world outside their classrooms. This generation of young entrepreneurs and start ups have invented Lateral concepts that are changing our world; the way we shop, the way we communicate, the way we bank, the way we pay our bills, the way we travel, the way we apply for jobs, the way we sell our possessions! These Lateral thinkers are on their way to horizons we have not yet imagined. They are creating a new world and leaving our industrial educational institutions in the dust of the chalk falling off their blackboards. 1. Improve the quality of teaching. 2. Personalize the educational experience of children to meet diverse needs and interests. 3. Treat schools as unique, organic communities, not standard same-for-all institutions. 1. We have “No Child Left Behind” that places enormous importance on standardizing instead of a more personal, organic, and creative experience for each child. 2. We have president Obama’s recent State of the Union speech emphasizing that the only disciplines of importance are math and science. This message tells our children that if they are not good at either one of these subjects they are not smart and they will probably not be as successful as those who are accomplished in math and science. 3. We continue to believe that if everyone is good at math and science, we’ll be fine. Meanwhile, creativity, innovation, lateral thinking, and the treasures all our children house in their minds are wasted as we are commanded to focus on math and science. 4. The entire model for our education system is built on Industrial Age beliefs regarding supply and demand. This no longer holds true. The rapid acceleration of technology, population growth, and the shifting of power throughout the world make it impossible to predict what our society and economy will have even 2 years from now. 1. Education is extremely personal. Everyone is unique and different in their interests, talents, and learning styles. 2. Human talents are buried deep within us and teachers must be adept at identifying and nurturing our children’s aptitudes. 3. It will take more than competency in Math and Science for America to prosper and grow in the future. 4. It is NOT about money! 1. Wisconsin’s per pupil spending on public school students increased from $6,517 in 1996 to $10,791 in 2008. 3. The $10,791 that Wisconsin spent per pupil in its public elementary and secondary schools in fiscal year 2008 was more than any other state in the Midwest. 4. In the National Assessment of Educational Progress tests administered by the U.S. Department of Education in 2009, the latest year available, only 31% of Wisconsin public-school eighth graders earned a “proficient” rating while another 8% earned an “advanced” rating. 5. The other 61 % of Wisconsin public-school eighth graders earned ratings below “proficient,” including 40% who earned a rating of “basic” and 21% who earned a rating of “below basic”. 6. The NAEP tests also showed that the mathematics test scores of Wisconsin public-school eighth graders have remained almost flat since 1996 while inflation adjusted per-pupil spending had significantly increased. 7. In fiscal 2008, the federal government provided $669.6 million in subsidies to the public schools in Wisconsin. I don’t mind paying teachers what they are worth. I don’t mind paying them for results, but NOT these results! If Wisconsin teachers, their unions, and teachers all across our country call the above statistics “Results” then they have lost their way. We have placed our most precious treasures, our children, in the hands of impostors who cannot deliver. They are stealing the nation’s future. We are doomed. They cannot produce. They cannot be fired. They have TENURE, a job for life. The laugh is on us; we pay their salaries with our property taxes. They take our money and dull the minds of our children. It is easier to get rid of a Predator Priest than it is to fire an Incompetent Teacher. This is how teachers continue to process your children in grades K–12 and our students in colleges and universities throughout America in the 2011 Global Knowledge Economy, which is driven by information and technology. This is a time and age when students have to be able to deal with changes quickly and effectively. This new economy places increasing demands on flexible intellectual skills, and the ability to analyze information and integrate diverse sources of knowledge in solving problems. NO ONE will advance in this new information age with rote memory skills. Those are the skills of mindless workers who put this gidget with that gadget for eight hours a day, 5 days a week, 50 weeks a year, for 30 years. That age is over in America. It left for China and India more than10 years ago. Why do our teachers and educators continue to use a mode of education that consigns our children to a life of irrelevancy? Why do they resist change, flexibility, and new thinking techniques? I believe it is because it threatens their lifelong Rote learning habits. Technology threatens them; teachers are artifacts from a time where they were taught they had to know all the answers. They believe in authoritarianism in an age when large groups are sharing information every day in a world without Ethernet boundaries; this is how teachers were taught to teach. They see technology as a threat rather than a challenge. Their students know more than they do in this Knowledge Economy and so they avoid the embarrassment of having to admit they are fallible by demanding safe Rote answers to safe standardized test questions. Educators have forgotten that one of the most exciting teaching moments is when the student teaches the teacher. Information exchange between teachers and students allows everyone to participate in the exciting adventure of Critical and Creative thinking. The teacher becomes the guide who helps channel student energy, creativity, intellect, and critical thinking into new solutions that awaken enormous possibilities for all. Teachers do not have to have all the answers; they need to ask the right questions! Their students will find the answers. 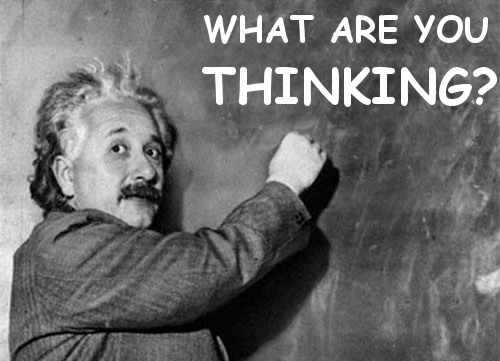 There is a serious relationship between Critical thinking and Creative thinking. They are like a hand in a glove. Creative solutions to problems involve not just having new ideas. New creative ideas must also be useful and relevant to the task at hand. Critical thinking plays a crucial role in evaluating new ideas, selecting the best ones, and modifying them if necessary. Critical thinking employs not only logic, but also broad intellectual criteria such as clarity, credibility, accuracy, precision, relevance, depth, breadth, significance, and fairness. A teacher or student disposed toward critical thinking includes a courageous desire to follow reason and evidence wherever it may lead. They are open-minded, display attention to the possible consequences of choices, have a systematic approach to problem solving, inquisitiveness, fair-mindedness and maturity of judgment, and a confidence in reasoning. To be fair, the real question is, do our educators possess this kind of thinking? Are they able to develop critical thinking in their teaching methods so their students have a future in the fast moving, ever changing world of the Global Knowledge Economy? If our educators cannot make this transition between Rote Memory and Critical Thinking then our student population is doomed to languishing in Industrial Age thinking while the rest of the world, i.e., China, India, and others leap forward, above, through, and beyond them. It is NOT about money. Socrates taught under a tree. It is about questioning old assumptions, creating group think in classrooms, exciting students and challenging them to question everything they are told, and requiring them to develop their own solutions to problems, which may or may not agree with ours. It is about trust and belief in our ability to learn along with our students as they learn along with us. Finally, the student must be taught not how to know the answer, but how to ask the question. Teachers and students must first embrace what they do not know and Critical thinking is a primary tool in approaching this. Spend some time with any 3, 4, 5 or 6 year old and count how many times they ask you, “Why?” Watch them play and watch how they solve problems and disputes. They have it! Then we turn them over to government schools that Drill and Kill it out of them. General George S. Patten, Jr. There is a high school in a poor section of the Bronx called the Theater Arts Production Company School. Report card grades were released in the fall for New York City’s 455 high schools, and the highest grade went to this school. It is a school that believes that no one should fail! The city is opening an inquiry into the practices of this school. The American Council of Trustees and Alumni, ACTA, confirms that many students aren’t learning very much in their first two years of college. As troubling as it is, it comes as no surprise to ACTA. Their study of more than 700 top colleges and universities, which enroll more than 6 million students, documents that, “…students can graduate from college without ever having exposure to composition, literature, foreign language, or American history. Is it any wonder that students learn little and do little, when colleges today expect little of them? So what is to be done? The goal is not simply to have more students with diplomas, but rather to graduate students who have a rich and rigorous education that prepares them to think CRITICALLY. The ACTA is reaching out to 10,000 of these colleges and universities to address this national scandal. Can there be any question why America increasingly finds itself at a competitive disadvantage when our K–12 public education and higher educational institutions are failing to do their job? By the way this failure from a post secondary system costs more than twice as much per pupil as the average expenditure in other industrialized nations. We outspend and we underachieve. President Obama in his State of the Union Address last night wants to “invest” in education. He and the Department of Education can pour billions, even trillions of dollars into the public education system, but nothing will change because MONEY IS NOT THE PROBLEM. We have Industrial Age educational institutions at the K-12 and college levels. We do not have a Technological Age educational system. We continue to educate as if our population will be working in factories, or as bank clerks, or manufacturing zombies. Our teachers/professors are secure in their chalkboards and books, notes and standardized tests, lectures and authority. As a matter of fact, most of the instructors in the first 2 years of college are NOT PhD professors. They are graduate students, who are making little money teaching while they work on their higher degrees. Research and graduate education dominate American higher education, placing undergraduate education at the margins. As a result of our perpetuating the past in our teaching methods and material, our students only know rote learning and how to respond to mediocre, standardized tests to receive grades. There is no vital connection made in the classroom between learning and life, much less any affection for voluntarily using one’s mind in the rigorous, sustained, and frequently counter intuitive way that leads to innovation and the advancement of knowledge. This is the century of innovation! This is the century of technology! Our children have daily access to worldwide communication, to instant knowledge via Twitter, Google, Facebook, iPhones, iPads, etc. They know when someone in the world is assassinated the moment after it happens. They are exposed to worldwide events on a daily basis! This generation is smart, inquisitive, hip, curious, and able. They DO NOT like being bored by someone holding a piece of chalk in their hand. Most of their learning occurs outside of school. What a comment on Education in this country. These are not idiots! This is a generation trying to sprint into the New Age while being anchored in the Industrial Age by their Industrial Age teachers, buildings, and thinking. Let’s catch up and then lead them forward into a life of rigorous and sustained Lateral and Critical Thinking. It’s NOT about money. It’s not about billions and trillions of “invested” dollars!